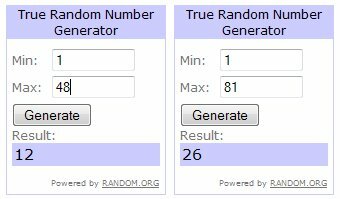 For some reason a hiccup of the Internet made it so I couldn’t access the fancy random number generator yesterday, so I’ve got two winners for you today. The winner of the cable knitting books was number 12, Wendy, who says she loves doing cables on fingerless mitts. 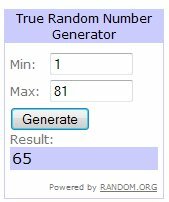 The first winner (I completely forgot there were two!) of the Mel Clark book is number 26, Heather M., who has never knit anything but said she would give the book to her daughter. You might want to flag a few projects before you do! The second winner is number 65, Anne Marie, who said something that she knits and uses that she loves are her kitchen wash cloths. Congratulations everyone! If you haven’t already heard from me and you’re a winner, I’ll get with you for your mailing address today or tomorrow. Thank you so much for the Cable Knitting books I can’t wait to see it and pick my first project to do. I am truly enjoying the Craft Gossip – so many great ideas and suggestions….Keep up the good work! The book has arrived and looks great. Thanks for the giveaway. And my daughter will thank you at Christmas! Oh, yeah! Glad to hear it.